Vudor Frost is as icy cool as it sounds. 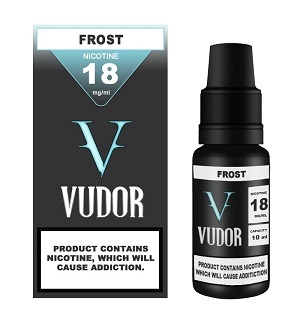 Expertly crafted from only the best ingredients, Frost delivers a refreshing, Arctic like, minty vape that will tantalize even the most dormant palate. Highly recommended to the fans of extra strong mint flavour..